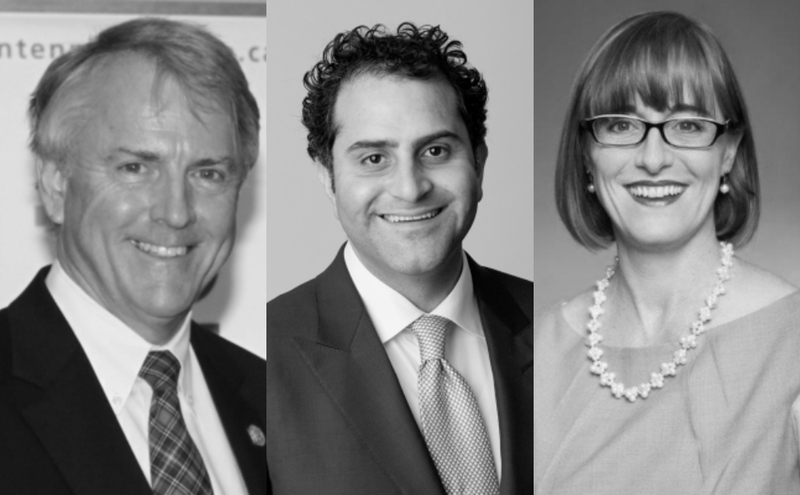 Toronto, March 5, 2019— The three finalists for the 2019 Canada’s CFO of the Year™ Award were announced today. The award, now in its 17th year, honours senior financial leaders who have made significant contributions to business in Canada with demonstrated quality, insight and integrity. The winner will be announced at Canada’s CFO of the Year ™ Award gala on April 25, 2019 at The Ritz Carlton in Toronto. Tickets can be purchased here. Canada’s CFO of the Year™ Award is judged on various CFO functions, including: transparency of financial reporting, highest standards of corporate behaviour, nature of accounting practices, and a commitment to good corporate governance consistent with current standards and evolving guidelines. Candidates are also assessed on their vision and leadership, external reporting and stakeholder relations, social responsibility, innovation, business performance and mentoring/development. The Award’s Behind the Boardroom series will feature interviews with the 2019 finalists, and currently highlights stories from past winners, finalists, and the latest commentary on financial leadership and growth in Canada. Financial Executives International Canada (FEI Canada), PwC Canada and Robert Half are all presenting sponsors of the 2019 Canada’s CFO of the Year™ Award. In addition to its presenting sponsors, the Award is also supported by the Chartered Professional Accountants of Canada (CPA Canada), Ricoh Canada Inc. and SAP Canada Inc. The Globe and Mail is the program’s media sponsor. Financial Executives International Canada (FEI Canada), PwC Canada, and Robert Half are all presenting sponsors of the Canada’s CFO of the Year™ Award. In addition to its presenting sponsors, it is also sponsored by, Chartered Professional Accountants (CPA Canada). The Globe and Mail is the program’s media sponsor. For more information, including information on award criteria and eligibility requirements, please visit www.cfoy.ca. For more information, please visit www.feicanada.org or follow us on LinkedIn https://ca.linkedin.com/company/fei-canada and Twitter @FEICanada. At PwC, our purpose is to build trust in society and solve important problems. More than 7,000 partners and staff in offices across the country are committed to delivering quality in assurance, tax, consulting and deals services. PwC Canada is a member of the PwC network of firms with more than 250,000 people in 158 countries. Find out more and tell us what matters to you by visiting us at www.pwc.com/ca. Founded in 1948, Robert Half is the world’s first and largest specialized staffing firm with more than 300 staffing locations worldwide, and offers job search and management tools at roberthalf.ca. Insight into the latest hiring and salary trends can be found in the company’s newly released 2019 Salary Guides. For career and management advice, as well as hiring and job search insights, follow our blog at www.roberthalf.ca/blog.